New Nintendo 3DS system available for under $100 MSRP for the first time on Black Friday!!! This is crazy news! My 15-year-old has been asking me for a 3DS and it's finally going on sale for an affordable price on Black Friday! It’s a deal spelled out in black and white: For the first time ever, Nintendo’s popular hand-held New Nintendo 3DS video game system will be offered at a suggested retail price of $99.99. 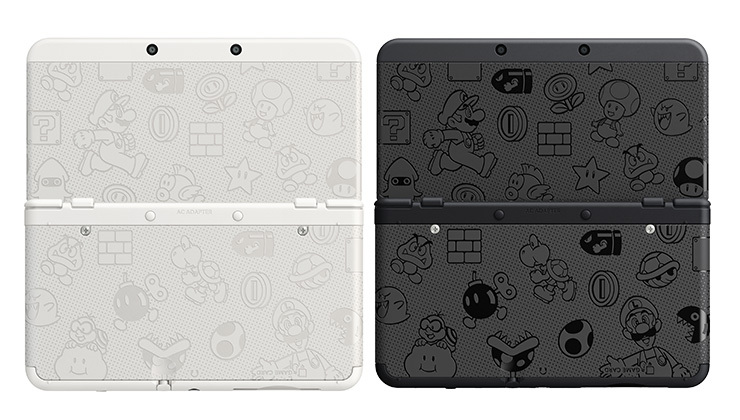 Two special-edition models – one black, one white, both featuring Mushroom Kingdom characters and imagery – will be available starting Nov. 25. This system, along with great software, will appeal to gift-givers and value shoppers alike. Once shoppers pick the system, the next step is to load up on great games. Fortunately, the Nintendo 3DS family of systems library is massive, and has options for every type of player. Some of the new and recently released games available during the holiday season include Mario Party Star Rush, which launched Nov. 4; Pokémon Sun* and Pokémon Moon*, which launch Nov. 18; Super Mario Maker for Nintendo 3DS** which launches Dec. 2; and both YO-KAI WATCH 2: Bony Spirits and YO-KAI WATCH 2: Fleshy Souls, which are now available. Shoppers can find more holiday game recommendations along with special offers, bundles and discounts by visiting Nintendo’s official Holiday Gift Guide. Fans who want to build up their Nintendo 3DS game libraries can turn to evergreen classics like Animal Crossing: New Leaf, Mario Kart 7, Super Mario 3D Land or The Legend of Zelda: A Link Between Worlds. At the same time, they can look to the future, knowing that a new Pikmin game for Nintendo 3DS, Ever Oasis and Dragon Quest VIII: Journey of the Cursed King are on the way in 2017.